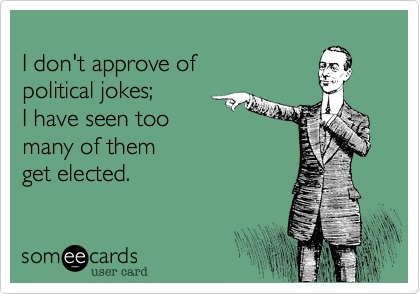 I don’t ‘do’ jokes (and I don’t ‘do’ politics). Q. What do you get if you cross a millipede with an elastic band? A. I don’t know; but, it would probably have more street cred than most politicians. Absolutely!!! And I love it!